Fulfilling annual tax obligation can create a lot of hassle, considering the amount of hours that need to be spent on the administrative works and the keeping up with the latest tax rules and regulations. We provide annual tax return preparation services for both individual and corporate clients to ensure that their taxes are prepared and filed in the best possible way. Do you want to check how well your Company or you yourself have complied with the prevailing tax laws and regulations on a given year? We can perform a tax diagnostic work (due diligence) on your account, which includes complex analysis of the degree of your compliance with the prevailing Indonesian tax laws and regulations for the given year, to check whether there are any tax risks or tax still payable that you need to be aware of. Our expertise provides us with the knowledge and understanding to deal with any tax issues you may encounter. 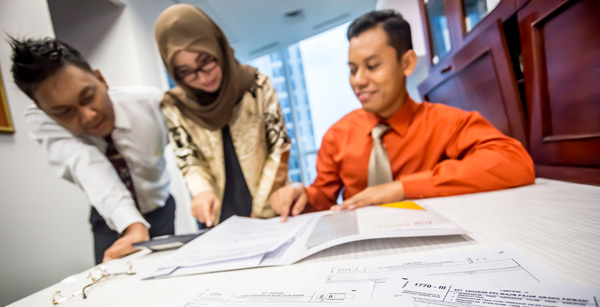 We help, assist, and represent our clients in tax disputes that they have with the Indonesian Tax Authority, especially during a tax audit, tax objection, and/or tax appeal. For corporations, understanding the prevailing tax laws and regulations and how they affect the business is crucial. That way, companies can strategize their business operations and finances to maximize tax savings and benefits. For individuals, tax always has to be taken into account on their financial planning, and in setting up their financial goals. Every financial decision has a tax implication. Whether you are a corporation or an individual, we can assist you with the tax planning of your business or your personal finance. Our clients seek our opinion and advice on their business cases, contracts and agreements, and business transactions. They rely on our deep and thorough analysis in order to prevent any tax surprises in the future or to anticipate any tax risks that may be embedded within. The world is shrinking. Within the past few decades, business has increasingly becoming international. Individuals have also gone global. Eventually all will be faced with cross-border transactions with its tax implications. We can assist you with your international tax planning in order to design the best strategies to maximize your tax benefits and savings based on your goals. Do you need a special training on a particular taxation topic for your organization? Does your internal tax team need assistance in any tax technical matters? Contact Us to see how we can assist you. Do you want to establish a new company? Do you need book-keeping assistance? Do you need a CPA to review and audit your financials? Contact Us. Our external partners are ready to assist you with the best services.